Apostle Sharon Render Johnson serves as Founder & Senior Pastor of Family Restoration Ministries Worldwide of Southfield, MI. FRMW is a life-changing ministry that demonstrates the Faith, Love & Power of Jesus Christ. This ministry is a training ground to perfect, to equip and to establish leaders for the work of the ministry. Apostle Johnson working in concert with the mighty Holy Spirit ministers in the five-fold ministry gifts to help edify the body of Christ. She is a shepherd and licensed counselor who has compassion for a hurting generation. Her ministry detail involves the development of youth, children, with focus on the restoration of marriages & families. God has visited this vessel on numerous occasions to take this life-changing gospel message of repentance & deliverance to various nations of the world. She has traveled to more than 17 nations since the mid 90’s as the Lord leads under a yoke breaking anointing for missions. Panama, West Africa nations, Israel, Egypt, UK, Holand, Singapore, Malaysia, China & Japan along with the Philippine Islands in partnership with ICMI. Apostle has taken several teams to the nations to take bread to the hungry. This woman of God serves along side her companion, Pastor Roosevelt Johnson with 30+ years of marriage with their four teens, Devonta, Demetrius, Ashley & Hakeem in Detroit, MI. Since 2008, God has called her to the arena of public service with a governmental anointing to serve as an instrument to help offer change in laws that do not benefit God’s people here in America. 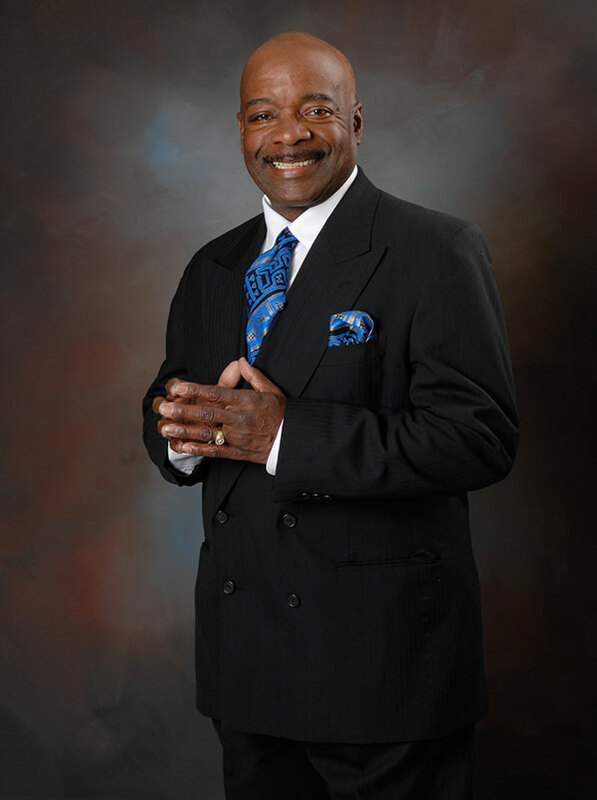 After the call to salvation in 1978, Roosevelt was ordained as a deacon in the early days in COGIC in 1981. When God spoke to Roosevelt to make Sharon his wife, he chose to marry his life partner. He recalls how they ministered on teams together every weekend on the streets of downtown Detroit at Kennedy Square. Then God birthed soul winning into his heart. At the Families In Need Inner City House, Pastor Johnson was responsible for conducting the 12-Step Alcoholics for Christ Recovery Program in partnership with Sobriety House Ministries. Both Pastors Roosevelt & Sharon have received a number of awards, for their community volunteer work at Scotts Women’s Correctional Facility, Salvation Army and other community based organizations over the years. Pastor Roosevelt has served as Board President at community development non-profits that focus on children and families. It was during these times that FRMW worked with homeless families that he was honored as an outstanding volunteer by Gleaners Community Food Bank in 2005. Educationally, Pastor Johnson is a candidate for the Masters of Arts in Teaching at Wayne State University. He served primarily as a high school Teacher for 12 years by the Detroit Public Schools. Teaching was his second full-time career after he completed a Bachelor’s Degree in Applied Science from Siena Heights University. Before teaching, the highlight of his 20-year Design/Engineering career was to be awarded a Patent (with two co-workers) for a Power Distribution Box Design in 1989. Pastor Roosevelt has strong work ethic, and a wealth of wisdom and knowledge for this generation. Both Pastor Roosevelt and Apostle Sharon have been married over 31 years. They enjoy ministry & leisure family travel together as time permits. They are the proud parents of four high school teenagers. Our lives are full and there is never a dull moment as we work at balancing home, family and church. We can surely say that God’s grace is sufficient for us. 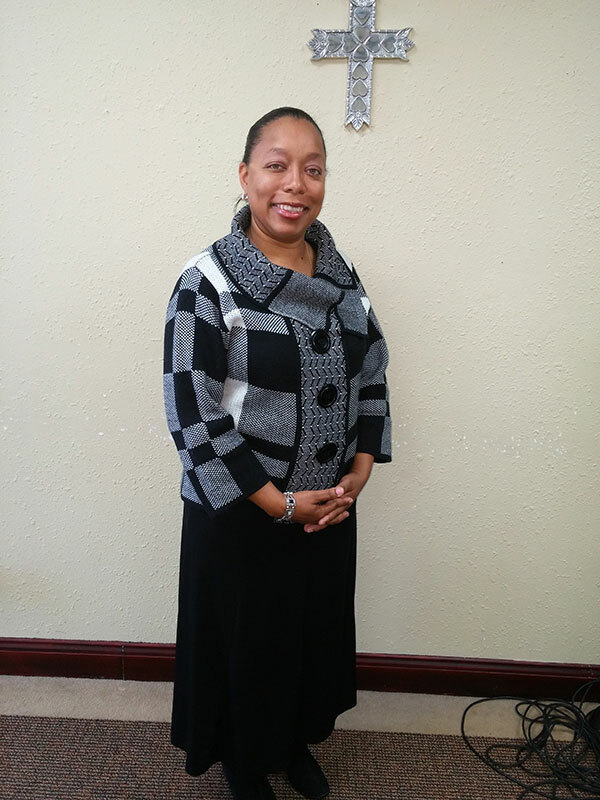 Pastor Kaliha Grimmett, serves as a Prayer Intercessor and Youth Leader at the church. She was born and raised in Detroit, MI and has three wonderful boys that God is raising up to become mighty men of God. In 2004, I surrendered my life unto the Lord. He has anointed me to reach the youth with wisdom and quietness. Truly God has blessed whatever my hands find to do. I am here to serve Him in faithfulness and to be a help to his people. He has used me to lay hands on the sick and they have recovered, even raising the dead and bringing souls into the Kingdom of God. It is an honor to live for Him. This is what God is calling for in this hour to reach the end-time youth to help them become awesome leaders. The Lord has called me to travel to the nations of the world and to speak the Word of God. I am truly a willing vessel waiting on God to be used by Him. Evangelist Desiree Thomas is a faithful servant unto the Lord. She was born again and raised from her youth up learning the word of God. In her late teens she learned how to pray and to seek God for answers to life’s questions. As she remained faithful to God, the LORD began to visit her family in salvation & restoration. Minister Desiree loves singing God’s praises. Her passion is found in working with children and youth. 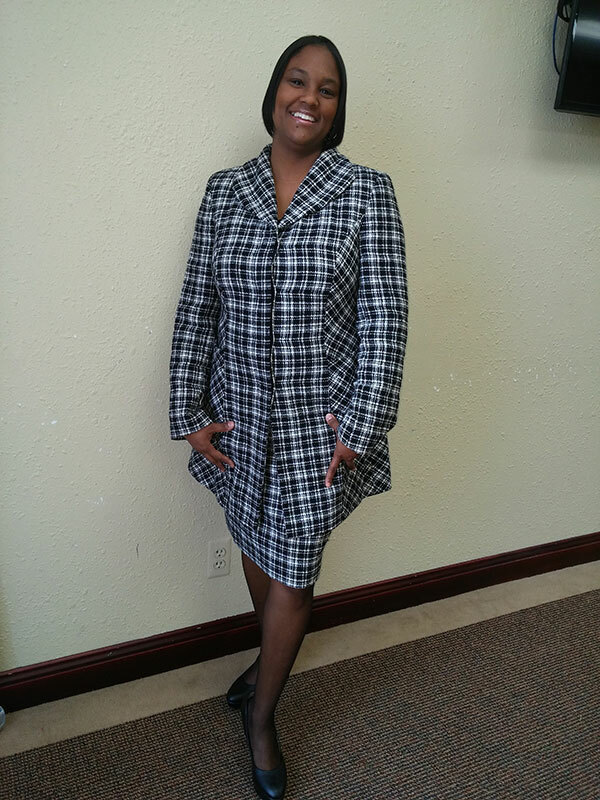 Evangelist Desi, as she is so affectionately called is trained as a Social Worker. Her real heart is kin to helping young mothers and their babies, ages two & under, with getting community resources for those of many nationalities, e.g. Hispanic, Arabic, African, Philippinos, African Americans, etc. Minister Desiree earned a BSW and Master of Social Work Degrees from Wayne State University, in Detroit MI in May 2009. She has traveled to several nations with FRMW to assist in mission work of taking deliverance to the nations. She has served in the nations of Ghana, Nigeria, London, U.K. and Jamaica. This woman of God is very loving, never changing and filled with encouragement for those she encounters. 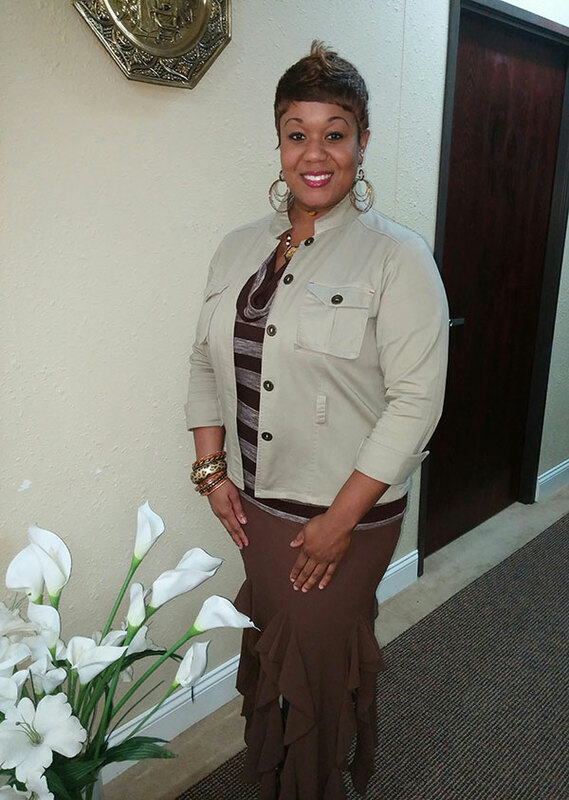 Evangelist Desiree is married to Elder Rodney Thomas and has two daughters and one son, Bre’Ana, Lindsey and Caleb. Nehemiah 8:10 Then he said unto them, Go your way, eat the fat, and drink the sweet and send portions unto them for whom nothing is prepared: for this day is holy unto our Lord: neither be ye sorry; for the joy of the Lord is your strength. 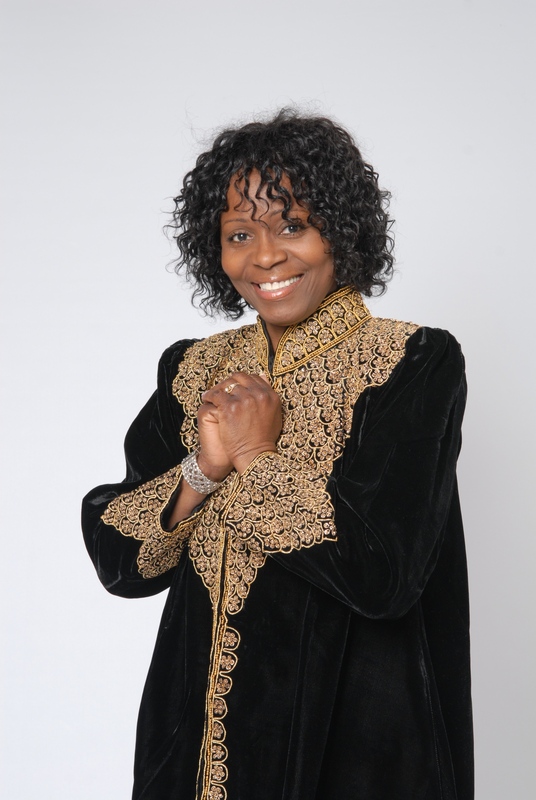 Prophetess Barbara Render is an anointed and appointed vessel of the Lord. She was born and raised as an only child, by her loving mother, Donna Render in Detroit, MI. Just as Samuel was called at an early age, by the voice of the Lord, Prophetess Barbara received her call of God at the age of 8 years old. After experiencing such a supernatural encounter, it changed her life in a great way. Barbara has always believed that God has a special and yet peculiar assignment planned for her life. Her desire has always been to live for God, in expectancy of what is yet to come. Prophetess Barbara sings under a powerful anointing where lives are lifted and healed. Barbara obtained her Bachelors of Arts Degree in Psychology from Olivet College in Olivet MI. While attending, she sang with a Mixed Voice Ensemble. Her dedication and study in vocal music opened up several opportunities for travel to six cities in the state of New York. There, she was cast as a member of the vocal choir in the musical/theatrical play, “Carmen” at Carnegie Hall. She attained a Master of Arts Degree in Counselor Education at Siena Heights University, in Adrian MI majoring in Community Counseling. Her compassion and love for God’s people allows her to use her counseling especially for those families with the greatest needs. She has worked for a State governmental agency for many years. 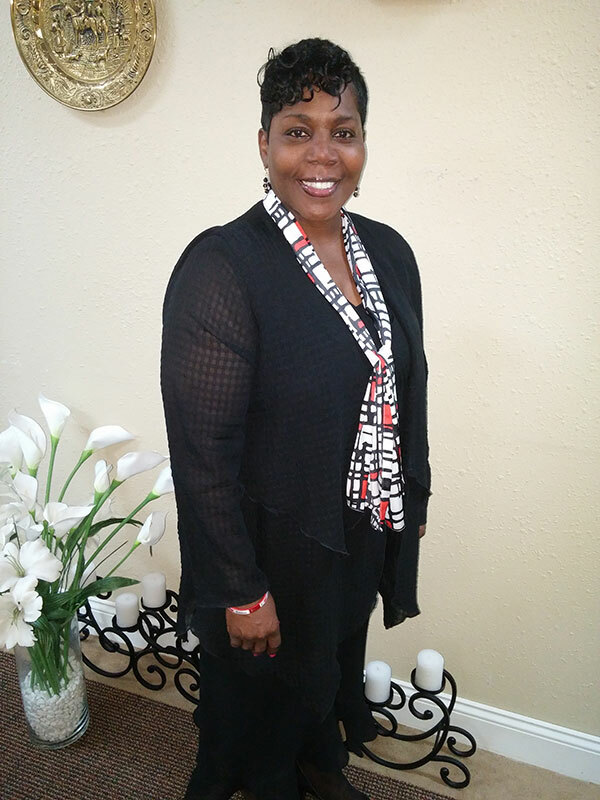 In 2014, she was blessed to travel abroad serving as part of the FRMW Apostolic-Prophetic Missions Team to Montego Bay, Wilson Valley and Shop Hill, Jamaica, to fulfill outreach missions work for the Lord. During her travels to several parishes she saw a great need for God to heal the hearts of His people from oppression. Prophetess Barbara is a faithful dedicated servant as armor bearer to her Apostle/Senior Pastor at FRMW. She has learned to trust in the Lord wholeheartedly as He continues to establish her gift in realm of the Prophetic.